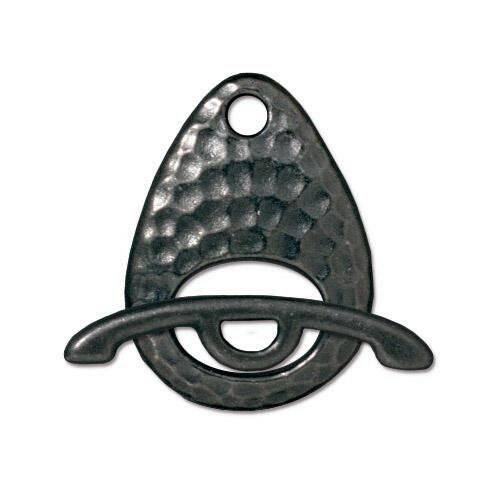 TierraCast Hammered Ellipse Black plated Toggle Clasp Set. The design is on both sides of the clasp. Very fast shipping! Very pleased with products, too!